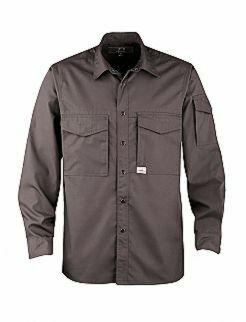 The Alsco Mens Long Sleeve Shirt is a piece of industrial workwear that is obviously influenced by the New Zealand street fashion trends. It is made with high-quality poly cotton blend that not only provides comfort but also durability and safety. This garment provides the benefits of the two fabrics – it has a quick-dry properties, odour-resistant, and since it allows air circulation it makes the fabric breathable. Here at Alsco we offer different range of workwear for both men and women. The Womens Long Sleeve Shirt is also made with high-quality poly cotton blend fabrics. It offers comfort and durability to your female staff.